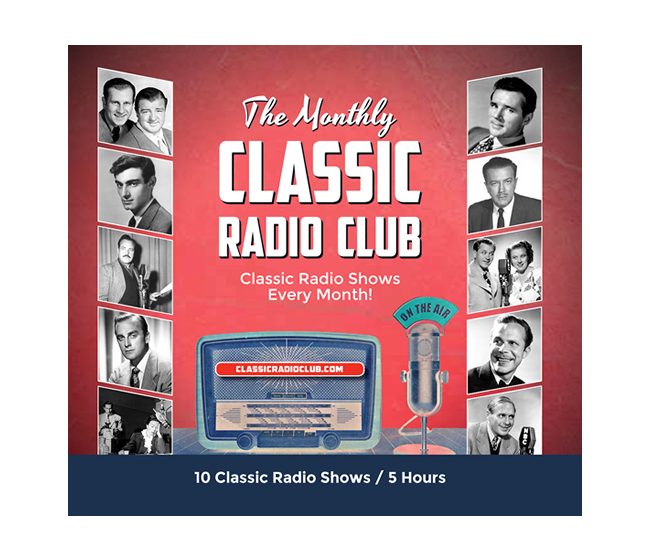 Classic Radio Club | Join the Classic Radio Club today and receive 10 classic radio shows on 5 CDs housed in a full-color collector case each month! Join now and receive these 10 classic radio shows emailed to you via digital download for only $1.00. Then each month you’ll receive 10 different classic radio shows emailed to you via digital download for only $9.99. 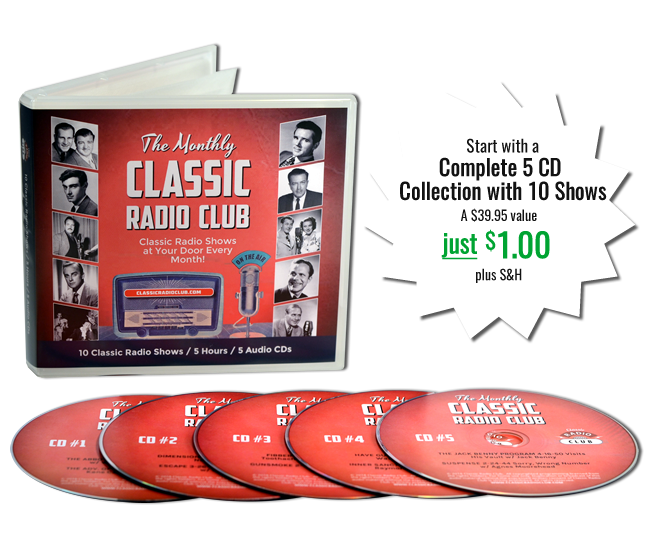 Join now and receive this 5 CD collection featuring 10 classic radio shows for only $1.00 (plus $4.99 S&H). Then each month you’ll receive 10 different classic radio shows for only $14.99 (plus $4.99 S&H). CD MEMBERSHIP members pay an introductory rate of $1.00 (plus $4.99 s/h) for the first month and then $14.99 (plus $4.99 s/h) for each month after. DIGITAL DOWNLOAD MEMBERSHIP members pay an introductory rate of $1.00 for the first month and then $9.99 for each month after.